Grow boxes solve one of the biggest problems for successfully growing vegetables, which is giving plants the right amount of water. In conventional container gardening, over-watering, which causes plants to rot, is one of the most common mistakes. Grow boxes are all about controlling the water-flow to your plants, making it impossible to over-water and easier not to underwater. Grow boxes deliver a consistent amount of water because they work with a reservoir system. You put water into a larger reservoir and as long as you keep the reservoir full, your plants are getting water through a consistently moist soil. To protect your plants from getting too much water, grow boxes come with soil covers -- so even if it rains for days, your plants won't drown. Almost anyone can get amazing results with grow boxes, but here are some tips for success. Be super-vigilant about adding water to your grow box: Ignore the advice about frequency of watering that comes with your box. They almost always overestimate the length of time between having to add water. Also, as your plants grow, their water needs increase--often dramatically--so by the end of the season you may have to check the water level every day. 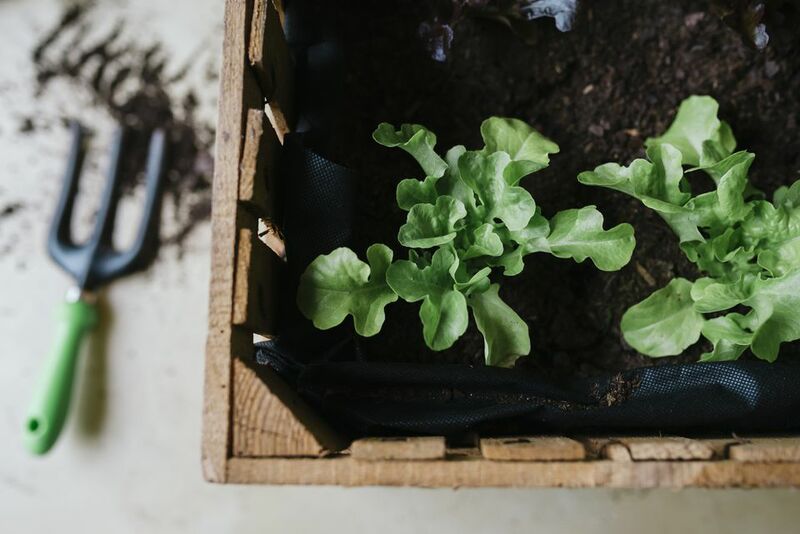 Fill your grow box where you want it: Even though some boxes come with wheels, they can be tough to move and are very heavy once they are filled with soil and water, so figure out where you want the box to live before you fill it with heavy soil. Easy access for watering: Make sure to place your box where you can easily add water, preferably where a hose can reach it. Also, the Earthbox comes with an overflow hole, which is the only way to tell if your reservoir is full. Make sure you can see the hole when water is coming out so you will know when you can stop watering. Choose a well-protected spot: A grow box that is full of enormous, sprawling tomato plants, though hugely heavy, can also be tippy and can blow over in a stiff wind. Follow feeding directions carefully: If you don't follow directions and skimp on the advised fertilizer requirements when planting your box, you won't have healthy plants. You may need to add a slow-release fertilizer at the beginning of the season. If you get blossom end rot: One of the few problems I've had with grow boxes is an occasional bout of blossom end rot. To prevent this, Earthbox suggests adding a cup of dolomite or lime to the top your potting soil. If your fruit still gets blossom end rot, (which you can identify by black spots on the bottom of your vegetables), according to the Earthbox instructions, you can solve this problem by mixing 1/4 cup of lime with one gallon of water and adding it to the reservoir. Do this only once. Follow planting instructions: Do not plant more than the suggested number of plants in your grow box. Though it may seem like you will get more produce if you put in extra plants, you will be shooting yourself in the foot and your plants will not thrive. The amount of soil and fertilizer has been carefully calculated and if you put in too many plants, they will not provide the kind of yields that the right number of plants would have. Two tomato plants can produce a lot of tomatoes.